Magothy Windows is a family business and our mission is to provide homeowners with a Window and Door Replacement company that is truly “the fairytale”; a quality, energy-saving product installed quickly, professionally, and cleanly. We have no misleading salespeople and our prices are fair. We install quality windows and doors. Our Alside windows and doors comply with the latest Energy Star ratings and related stimulus incentives. At Magothy Windows, we have no salesmen and low overhead. Most competitors have trained, commissioned salesmen that have a ‘par’ to meet, offices and showrooms to heat. We spend less to give you more. We’re proud that most of our work comes from referrals and are happy to provide references. 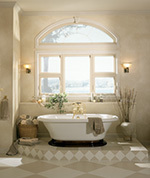 Call or email Magothy Windows today to schedule your free estimate. Magothy Windows serves homeowners throughout Maryland and Northern Virginia, including Annapolis, Crofton, Davidsonville, Gambrils, Odenton, Riva, Crownsville, Millersville, Edgewater, Severna Park…and all the rest of Anne Arundel County. Annapolis, Arnold, Baltimore, Cape St. Claire, Glen Burnie, Millersville, Odenton, Pasadena, Severna Park, Severn, and all areas in between! Copyright © 2017 Magothy Windows. All Rights Reserved. Website Design by Shawna Leigh Designs.